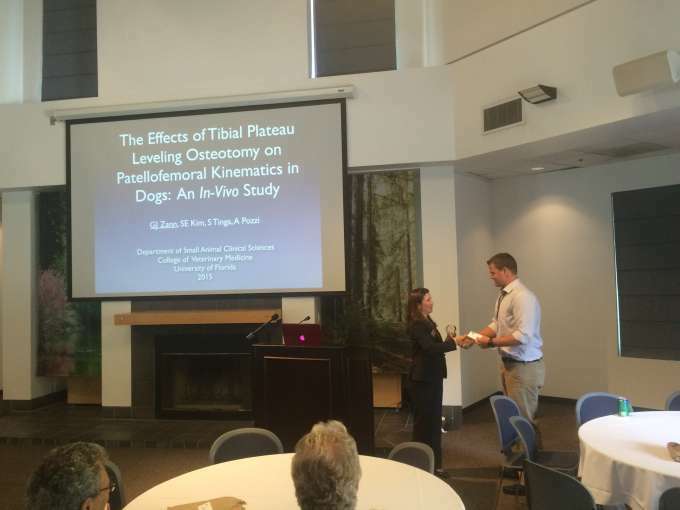 Geoff Zahn presents his abstract as the winner of the 2015 Merial Veterinary Research Scholar Award. 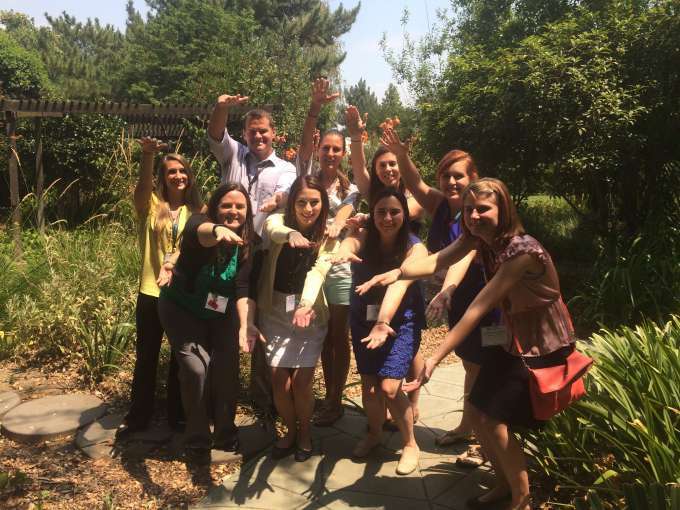 2015 Veterinary Scholars on a field trip to Disney Animal Kingdom. Veterinarians at DAK spent the day showing our students how their research in nutrition, conservation, and other areas improve the health and welfare of wildlife worldwide. 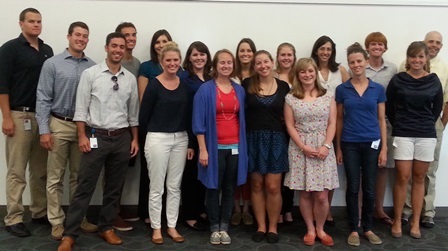 Second row: Geof Zann (Dr. Kim), Jared Baum (Dr. Boston), Chris Alling (Dr. Rae), Laura Adkins (U Georgia, Dr. Crawford), Hannah Ferrall (Dr. Milner), Ashton Story (Dr. Milner), Kelly Nutt (Dr. Levy), Megan Stobel (Dr. Walsh), Robert Pringle (Dr. Tevosian), Dale Kelley (Dr. Galvao). Missing are Lauren Brown (Dr.Waltzek) and Valentina Henao (Dr. Johnson).